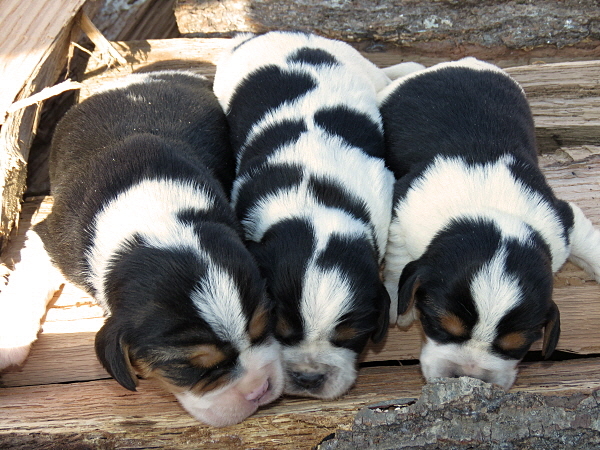 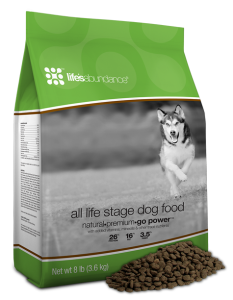 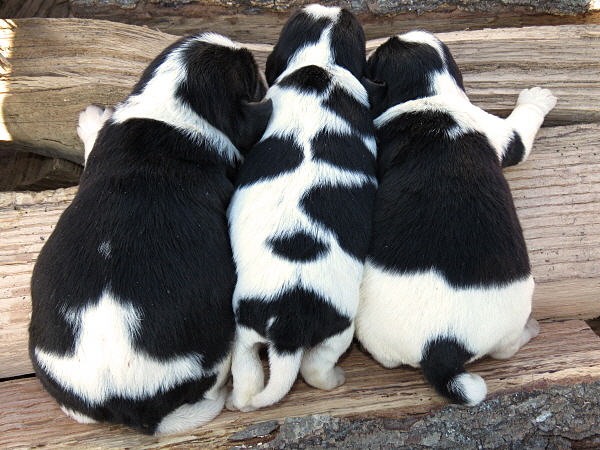 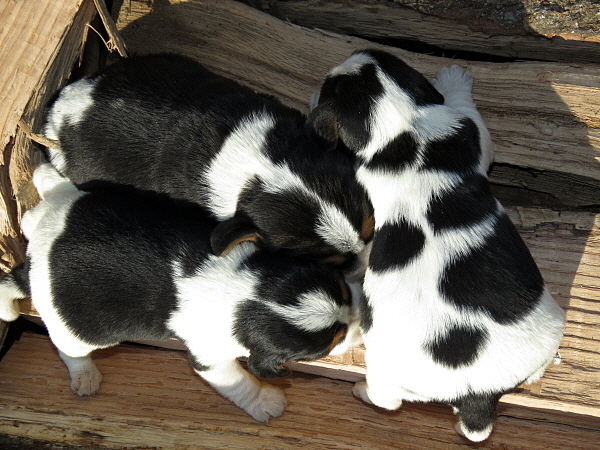 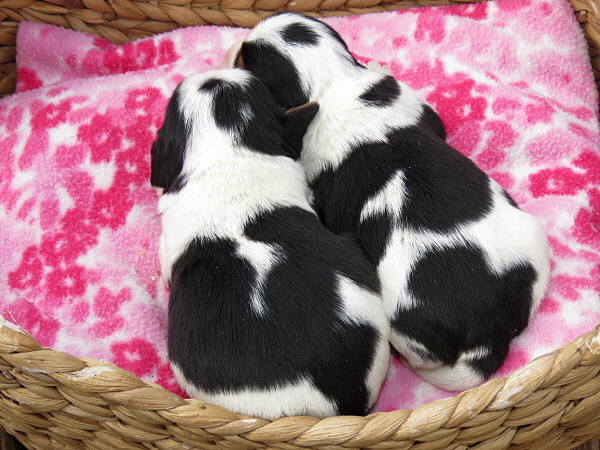 Bluebelle had 5 sweet Beaglier puppies – 3 boys and 2 girls. 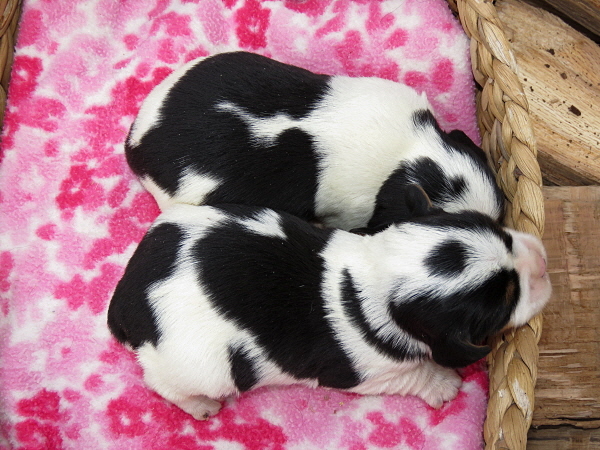 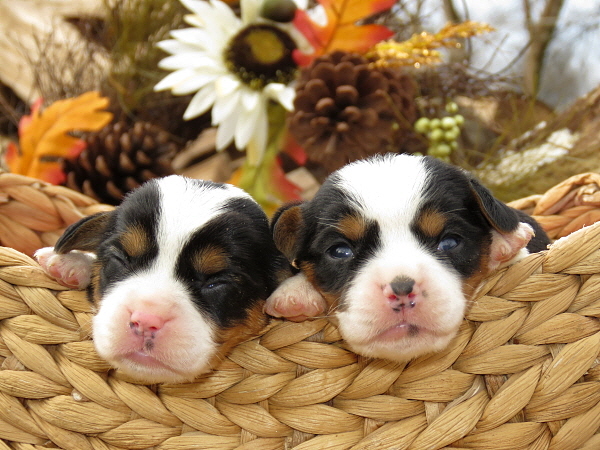 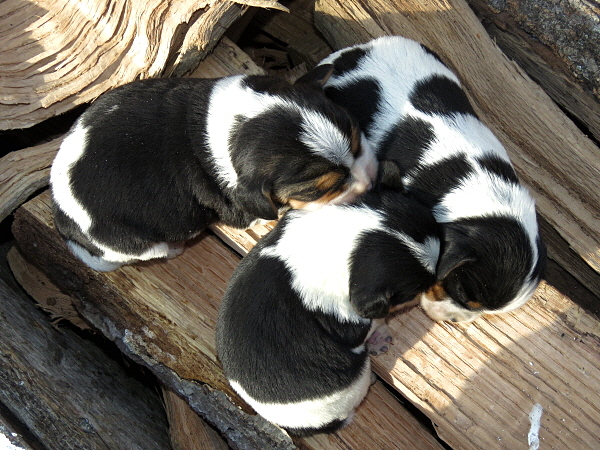 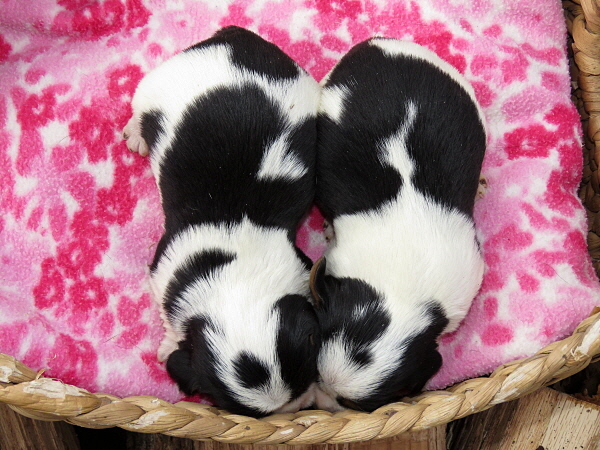 I have 2 boys available – the rest of the puppies are all reserved. 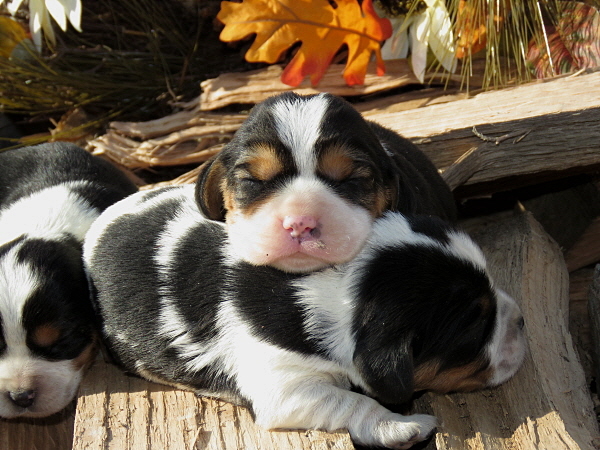 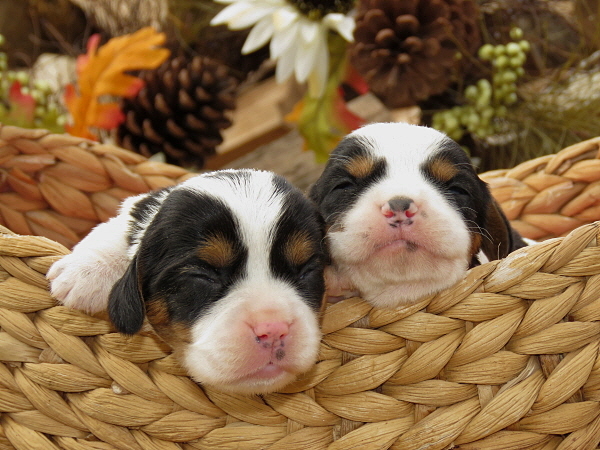 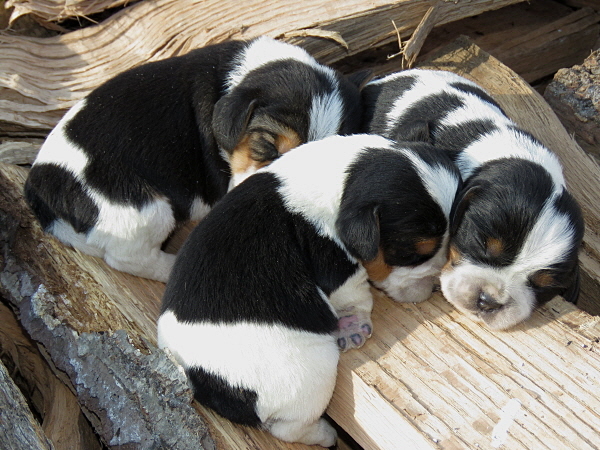 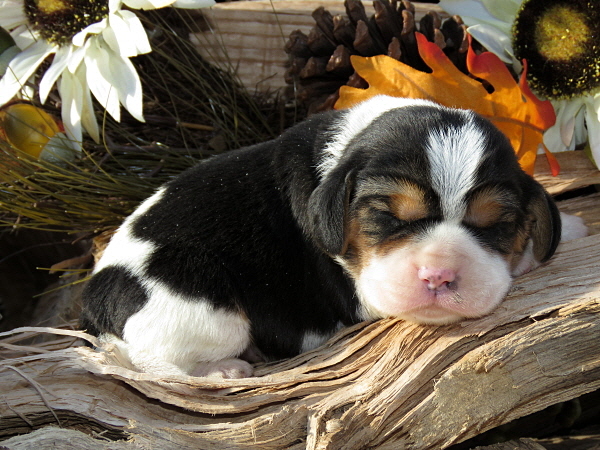 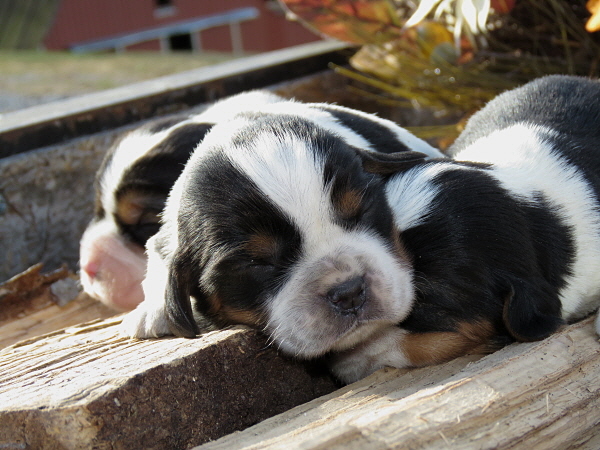 The puppies eyes are beginning to open, but they do not like to keep them open for long at this age!